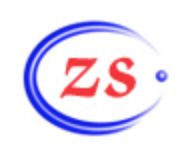 SHIZUISHAN ZhongShi activated carbon co,.ltd is one of the सीसीएल 4 70 आयोडीन 1030 मिलीग्राम जी leading brands in China. It is the factory & supplier specializing in manufacturing सीसीएल 4 70 आयोडीन 1030 मिलीग्राम जी. Offer high quality सीसीएल 4 70 आयोडीन 1030 मिलीग्राम जी at a cheap wholesale price.